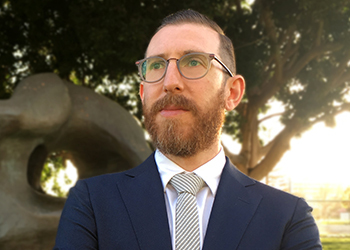 Nathan Hess is the Director of Data and Analytics for the California Policy Lab at UCLA. Prior to joining CPL he was an Associate Director at the University of Chicago Crime Lab where he worked on several large-scale randomized controlled trials of mentoring and math tutoring programs for at-risk youth. He also managed a team of research analysts and data scientists, and contributed to numerous operations and infrastructure projects as the Crime Lab grew into a nationally recognized leader in innovative social policy research. Before joining the Crime Lab, Nathan worked as a research analyst at Chapin Hall at the University of Chicago, on school-based interventions designed to reduce violence and increase access to mental health and social supports for disadvantaged youth. He holds a BA in history from Lock Haven University and an MA in history from Northern Illinois University.